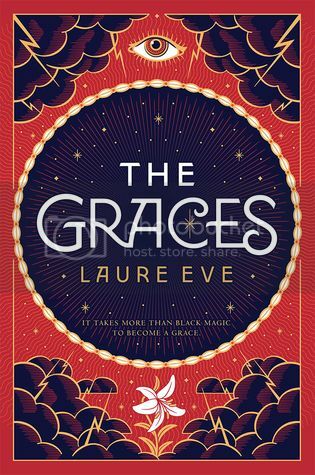 The first thing that drew me to The Graces was the super gorgeous cover. Seriously, I have a weakness for books with awesome covers, and the story sounded pretty cool, so I was really excited to get started on the book. This book took a lot longer for me to get through than I expected. I found the characters interesting at first, but the more I read, the more irritating they became. And this is not just the main character, but ALL of the characters. I just couldn't connect with any of them for some reason. Then there was the storyline. It really had a lot of potential which made me really excited going in, but as the story went along, I found myself losing interest pretty quickly. I did push through and finished the book, as I kept feeling like things would eventually pick up, but they never really did. We do get some answers at the end of the book, finally, and the books ends in a way that will have you wondering what is going to happen next. I am currently undecided on if I will be picking up the sequel for the book. From the summary it sounds a bit to much like the movie The Craft. Have you seen that movie? I struggled with this book big time and couldn't finish it. It definitely wasn't for me, so you are not alone in this! ^ Totally agree with LaLa - that is exactly what it sounds like! The cover is gorgeous! Sorry to hear you didn't connect well with it. This isn't the first time I've read a not so positive review. I'll probably skip this one.